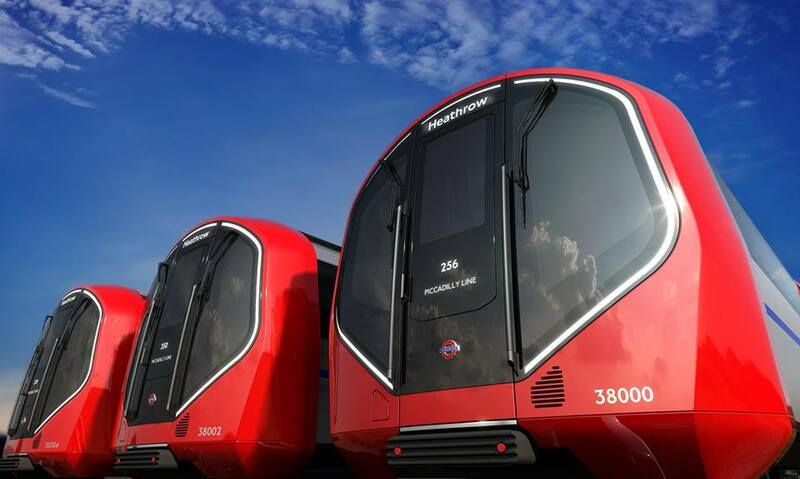 The Mayor and London Underground revealed this month the new designs for the ‘New Tube for London’, the next generation of Underground trains, which are to come in to service from the mid-2020s. The trains are to serve London for more than 40 years and will be designed and built to be capable of fully automatic operation. The train’s design will allow for air-cooling for the first time on deep-level sections of the Tube. It also features improved accessibility, with step free access from the platform as well as walk-through carriages and wider doors. The New Tube will be introduced first on the Piccadilly line, followed by the Bakerloo, Central and Waterloo & City lines. Piccadilly line by 60 per cent (the equivalent of up to 19,000 customers per hour). Earlier this year London Underground placed a notice seeking expressions of interest to build the new trains. It has now shortlisted five bidders: Alstom, Siemens, Hitachi, CAF and Bombardier. The notice quoted a range of between £1.0 billion and £2.5 billion for 250 new trains. The New Tube for London programme will see approximately 100 trains for the Piccadilly line, 100 trains for the Central line, 40 trains for the Bakerloo line and 10 trains for the Waterloo & City line. Siemens has received an order to supply the train control equipment and operational control system for the extension of the automated metro line 14 in Paris. Siemens equipped the original stretch of Line 14 for automatic operation back in 1998 and thus established the first fully automated metro line in Paris. This new section, due by 2019, will reach Mairie de Saint-Ouen, extending the existing nine-kilometer southbound line by 4 underground stations and 5.8 kilometers. The order volume is worth around 45 million euros. Siemens will provide Trainguard CBTC, which enables UTO operation. In Paris, automatic operation is to achieve a service interval of 85 seconds. 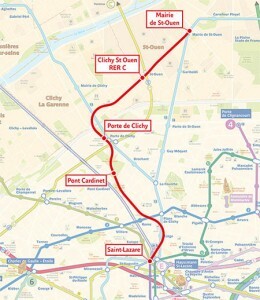 The new section aims to provide a sustainable solution to ease the existing congestion on line 13 (one of Paris’s busiest lines with 610,000 daily ridership), thanks to two interconnection points, including with RER C.